On June 2, China successfully launched the fourth BeiDou navigation satellite into the pre-designated orbit, symbolizing that China has made another important step forward in building the BeiDou (COMPASS) Navigation Satellite System. As is known to all, satellite navigation and positioning system is the key strategic infrastructure for information, and it will influence the process of social civilization and change people’s ideas about life, time and space. 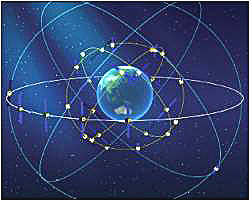 The construction of satellite-based navigation, positioning and timing system will be an evitable trend in the future. As the largest developing country in the information era, China is doing its utmost to construct its own BeiDou satellite navigation system so as to improve self-owned navigation, positioning, and timing system. With the ongoing Expo 2010 Shanghai China, Chinese government has announced to complete the deployment of BeiDou system by 2020. Under this background, NaviForum Shanghai 2010 that is known as the most important event in China satellite navigation industry will be held in Shanghai this year on Sept. 1-2. Since the launch in 2004, NaviForum Shanghai has been successfully held for four consecutive years, and NaviForum Shanghai 2010 will be held together with the International ITS Conference & Expo Shanghai 2010. The NaviForum Shanghai / ITS Shanghai 2010 event will focus on the theme "New Generation GNSS & Innovative Navigation Technology Application", which will bring us more highlights than ever. By now, the three hosts have been confirmed from the Department of High and New Technology Development and Industrialization of MOST, China 2nd Generation Satellite Navigation System Project Management Office, and Science and Technology Commission of Shanghai Municipality. Chinese leading navigation map provider AutoNavi and the worldwide leading manufacturer of car electronics Continental AG have already confirmed the sponsorship of the event. Inside GNSS, the famous magazine focusing on GNSS, has confirmed to give full support as the Global Media Partner. Many more companies are showing their interest in sponsorship or participation. In the span of two days, the event will be addressed by more than 10 important industry experts, including leaders of China BeiDou program, the U.S. GPS program, and Europe Galileo program, officials from Chinese government, and CEOs from enterprises worldwide. Besides keynote speeches, several panel discussions will make the event even more lively, focusing on BeiDou system, digital navigation map industry in China, ITS & 3D GIS & digital city, real-time traffic, and driving force for GNSS in North America and Europe. Tony Russo, Director of the U.S. National Coordination Office for Space-Based Positioning, Navigation and Timing, will share a keynote speech about the U.S. GPS program. Congwu Cheng, CEO of AutoNavi Software Co., Ltd. and Xinping Guo, President of Beijing Unistrong Science & Technology Co., Ltd. will also give speeches to share insights. In addition, Kanwar Chadha, Chief Marketing Officer of CSR, Mike Shaw, Director of Navigation Systems Global Business Development, Lockheed Martin Corporation, and Dominique Bonte, Practice Director for Telematics and Navigation, ABI Research have confirmed to join the panel on the U.S. GPS navigation. The event will attract about 800 professional guests both from China and the world and audience of over 10,000 fans of navigation and ITS. We are looking forward to meeting you in Shanghai this September!